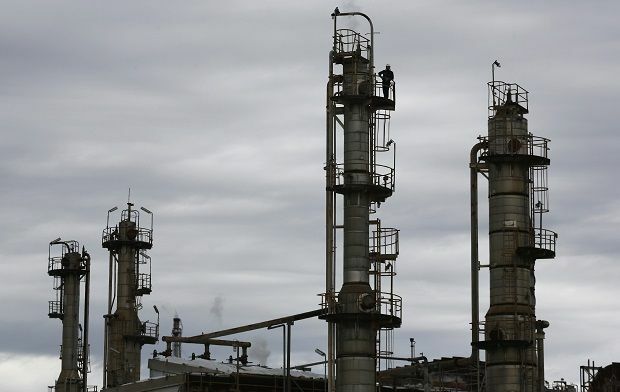 Russia’s oil exports so far this year have dropped by 5.2% compared to the same period of last year, to $121.369 billion, Russia'sFederal Customs Service has reported, according to the Russian daily business newspaper Vedomosti. The physical volume of oil exports decreased by 5.1% during the reporting period, and amounted to 166.399 million tonnes, against 175.42 million tonnes the previous year. The main fall in export volumes was seen in deliveries to countries outside the Commonwealth of Independent States, to which the value of shipments was $114.507 billion, or 4.2% lower than over the same period of the previous year. Revenues from oil supplies to the Commonwealth of Independent States fell by 18.4% to $6.862 billion. As UNIAN reported earlier, oil again fell in price on Monday after initially making a small gain in trading.